Posted by Teresa Mihelic HelpDesk on Saturday, June 1st, 2013 at 9:18pm. Our office is excited to list this great deal in Mission Viejo. Check out this beautiful Canyon Crest Pool Home, with forever views of the Mission Viejo Lake, in an ideal location on a cul-de-sac with an extra long driveway. The owners put new roof in 2010 and new windows in 2006. Need that bedroom downstairs? This home has it all. Three upstairs bedrooms plus a bonus room. The 3,380 sq ft home was built in 1989 and boast a large lot of 7,841sq ft. The backyard has a pool and spa, and a built in barbecue. All this plus the fantastic Canyon Crest amenities with clubhouse, pool, tennis courts, basketball and sport courts, and more! Mission Viejo Lake membership as well! Property is a short sale subject to lender approval. Canyon Crest is a beautiful guard gated community in a small bluff in Mission Viejo, with close proximity to the Lake Mission Viejo. 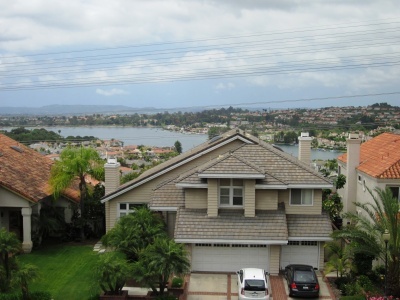 Located on Mission Viejo's northern tip, Canyon Crest has an excellent view of the lake and its surroundings. Contact us for a showing! Use Rustic Oak gate, left on Applegate, right on Sunbrook, right on Canterbury, right on Willow Tree.